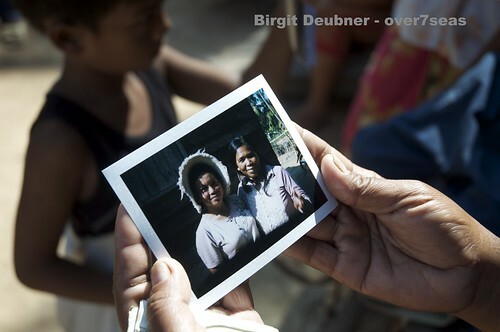 Seeing life through the lens – sharing pictures – Cambodia, a photo by Birgit Deubner on Flickr. I haven’t heard back from you yet, about your thoughts regarding travel and traveling with baggage. So perhaps it is as good a time as any to share one my reflections with you. A friend of mine said that you can’t escape from your ‘self’, but that just perhaps sometimes running away buys you time before yourself catches up with you. And it might just be this time that you needed to get ready to face this self or it’s attached baggage weights. Another friend of mine would say “Just sit with it”. Such an opposite suggestion when my feet got itchy and my soul yearned for resolutions to issues I felt. One friend would say: go and move while another advocated utter stillness and an inward listening. With time I learnt to understand my second friend and stillness is the greater skill, but it did take me years of movement to understand this. Now I need to still learn how to stop moving so much (in my mind and body, equally). I think stillness is the best gift that we can give ourselves. What do you think? Do you need more Movement or more Stillness in your life? ?